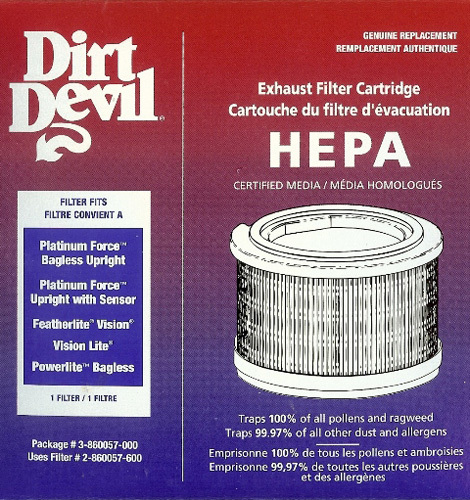 Exhaust HEPA Filter Cartridge for Dirt Devil Upright Vacuums. Traps 100% of all pollens and ragweed. Traps 99. 97% of all other dust and allergens. Email [email protected] com if you are in doubt this filter fits your vacuum. Please include your vacuum cleaner's model number and mfg. code in the email. We will be happy to do the research for you.